The Jeep Wrangler isn’t an SUV for everyone: it’s for people who like to go off the beaten path, people who like to live a little. 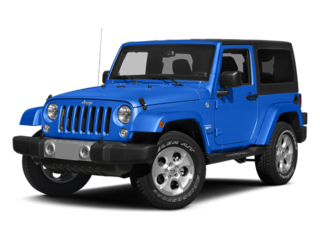 It’s built to be a pure off-roading machine, and that’s what gives the Wrangler its inimitable charm, but it also makes a fine vehicle for everyday driving in the city or on the highway. 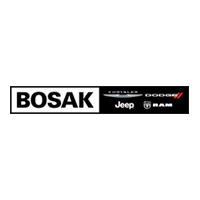 So if you’re in the market for a pre-owned car with a sense of adventure, be sure to stop by Bosak Motors (CDJR) and check out our selection of used Jeep Wrangler models. 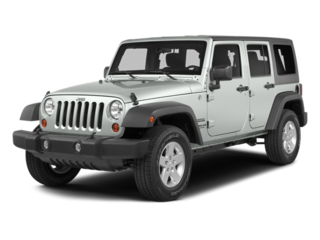 The latest Wrangler comes in two different body styles: the classic two-door Wrangler, and the new four-door, extended-wheelbase Unlimited. The classic Wrangler can’t be beat when it comes to nimbly navigating rugged trails and city streets, but the Unlimited gives you more space for cargo and passengers. Either way, you’re getting a vehicle that’s ready to handle any type of terrain, and both models feature removable soft tops and doors for truly unlimited freedom. 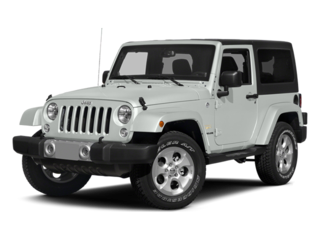 In addition to the two-door Wrangler’s standard equipment – which includes a CD/AUX audio system, cloth upholstery, folding soft top, and fog lamps – the Wrangler Unlimited comes with air conditioning, a split-folding rear seat, and a bigger fuel tank. It also expands rear passenger seating from two to three, and offers a total of 86 cubic feet of cargo space when you fold down the rear seats. 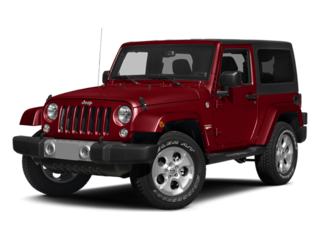 There are three trim levels available on the Wrangler: base-model Sport, off-road-ready Rubicon, and full-featured Sahara. Some used Wrangler Sport models feature the Mountain package, which adds equipment to increase the Wrangler’s off-road capabilities. The Wrangler Rubicon is the ultimate off-roading machine, since it features an exclusive transfer case, rock rails, rugged tires, and much more.